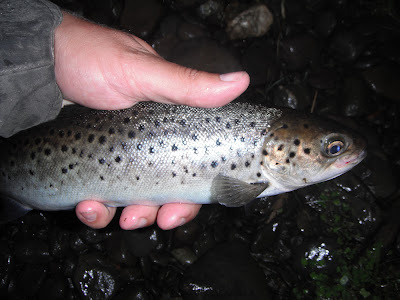 A recent review of fish stocks in the River Tolka in north Dublin, by Inland Fisheries Ireland has indicated the presence of numbers of juvenile wild Atlantic salmon in the river in three locations in the Glasnevin and Finglas areas. This is the first record of wild salmon reproducing in the Tolka for at least 100 years. The reestablishment of a wild salmon population in the Tolka is due to the coordinated efforts of a number of State Agencies. Earlier this century the Office of Public Works, working closely with three County Councils (Dublin, Meath and Fingal) carried out a flood relief scheme in the Tolka. Inland Fisheries Ireland worked closely with these groups advising on fishery aspects of this scheme. This involved either the removal or modification of a significant number of man-made weirs to “open up” this system to migratory fish .On completion of this scheme adult sea trout immediately ran the system all the way upstream to its headwaters in Dunboyne for the first time in, at least, 150 years. Now we are seeing the recolonisation of the river by the “King of Fish” – the Atlantic Salmon. There is no doubt that the presence of juvenile salmon, a species that only survives in clean water, also reflects the hard work of the County Councils in reducing pollution levels in this largely urbanized river. In a further development, Dublin City Council is in the process of implementing an Inland Fisheries Ireland fisheries enhancement plan in the Carrdiffsbridge Park area. Once complete, there will be a linear park along the Tolka River at the Pelletstown area which will include the improvement of fish habitat and the eradication of Giant Hogweed. Dr Ciaran Byrne, CEO of Inland Fisheries Ireland said today ‘Up to the year 2000 Dublin and Reykjavik were the only two capital cities in Europe which had a wild Atlantic salmon stock in a river within city boundaries. 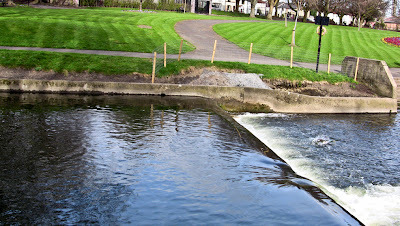 Now Dublin can boast about having three salmon rivers within its boundaries – the Liffey, Dodder and now the Tolka! In environmental terms this is an important step forward’. Yesterday I ventured onto the Bandon River to grab a quick and relaxing hour of fishing with the hope of catching a salmon. The wind seemed to strong to comfortably fish with fly so I decided to fish with spinner on my 9 foot spin rod and vintage mitchell reel. I started fishing the river and making my way down covering the parts that may hold a fish, but no take. Then out of nowhere a take. I started reeling in and could see the body of a fish with my poleroids. 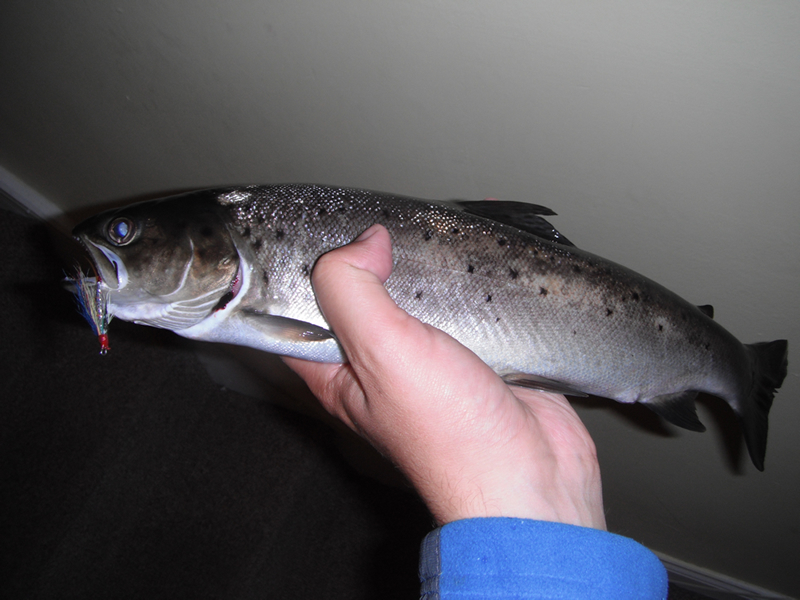 It wasn't big but it was fighting with strength, could it be a sea trout.... I got the fish in closer. 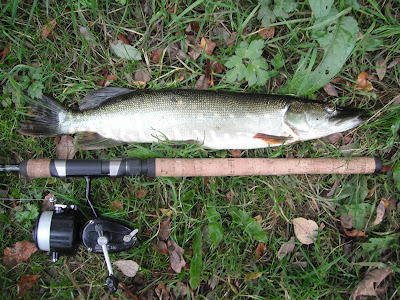 Now I could see it was no brown trout, sea trout or salmon but a very hungry jack pike! 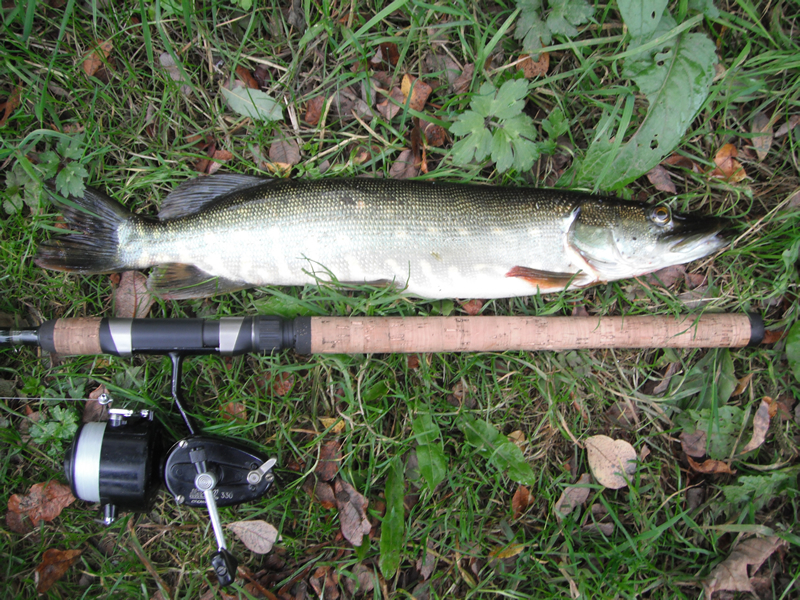 Pike are not a naturally occuring species to the Bandon River. Locals beleive that this species entered the river from Chapel Lake Dunmanway a couple of years ago during a flood. At a sitting of Nenagh District Court last week Mr Ilgonis Kuziks of Ballysheedy, Co. 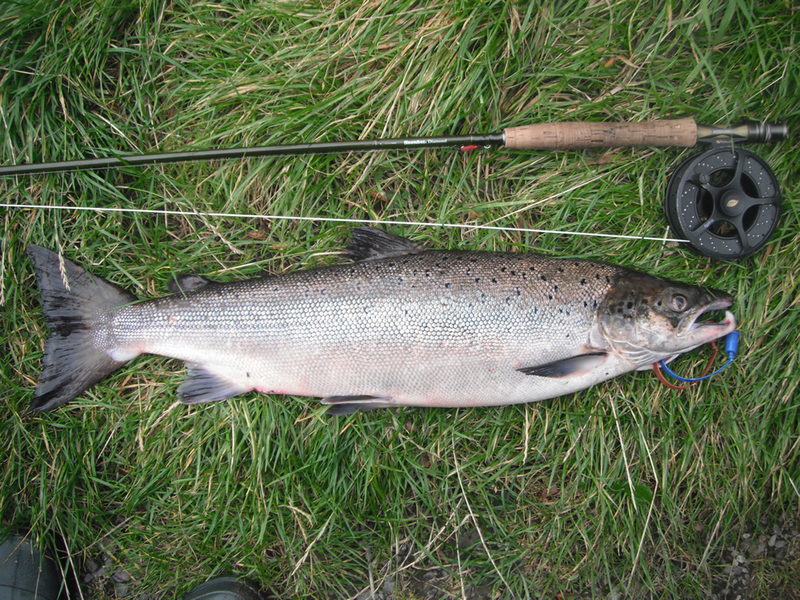 Limerick was successfully prosecuted by Inland Fisheries Ireland for poaching salmon on spawning grounds in the Newport River, which is part of the Mulkear catchment. Mr Kuziks was taking fish illegally by spearing salmon as they were on gravel beds attempting to lay their eggs at night last December. The judge imposed a fine of €1750. Last winter on the Newport River near Newport, Co. Tipperary, Fisheries Officers on a night patrol encountered a group of individuals who were armed with spears and lamps. After a thorough search of the area officers uncovered 3 wild hen salmon, spears and lamps. While two of the individuals escaped, officers successfully apprehended Mr Kuziks and he was convicted of illegal salmon fishing. 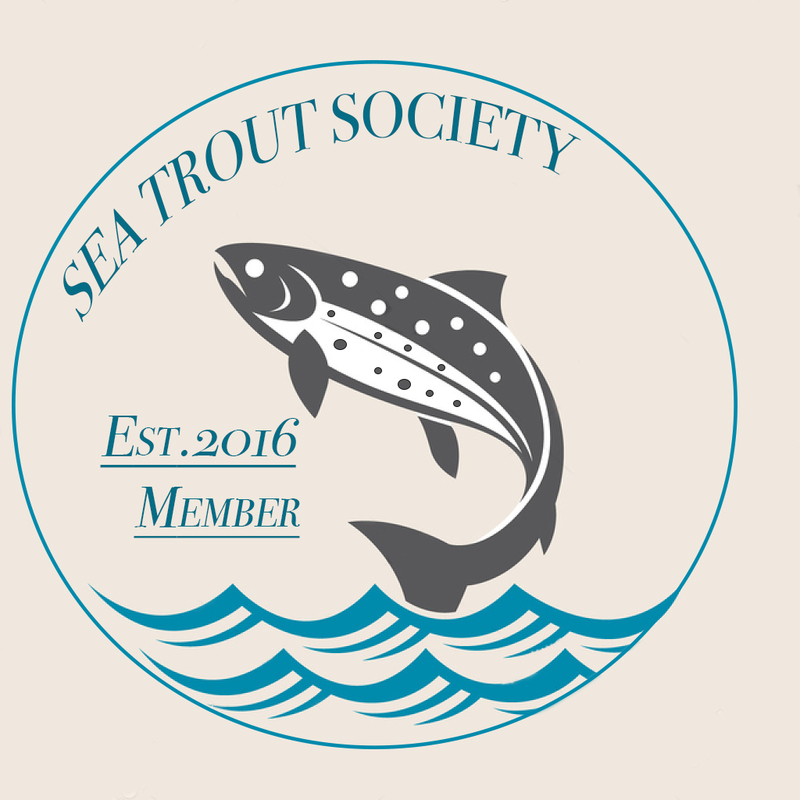 Wild Atlantic salmon are under severe threat nationally and internationally with numbers declining annually. The Mulkear river is one of only two rivers which meets its salmon Conservation Limit in the Shannon River Basin District. 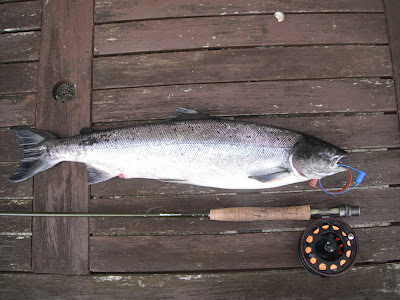 Currently the river holds excellent stocks of wild salmon but incidents such as these are extremely detrimental and will threaten its status and may ultimately result in the river being closed to angling. The river is managed by the Mulkear River Fishery Partnership. Help protect your wild salmon stocks by reporting illegal activity to IFI on 1890 34 74 24 day or night. 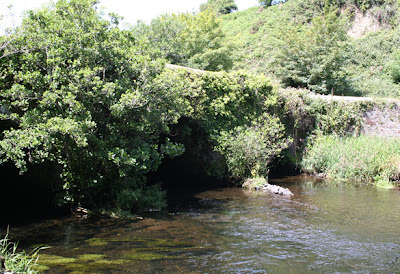 Last Friday 16th September Inland Fisheries Ireland Macroom was alerted by the public that a fish kill had taken place on the Curragheen River, a tributary of the River Lee, in Cork city. It was reported that there were numerous dead fish in the river in the Bishopstown area. Inland Fisheries Ireland responded immediately and a Senior Environmental Officer was on site within an hour. 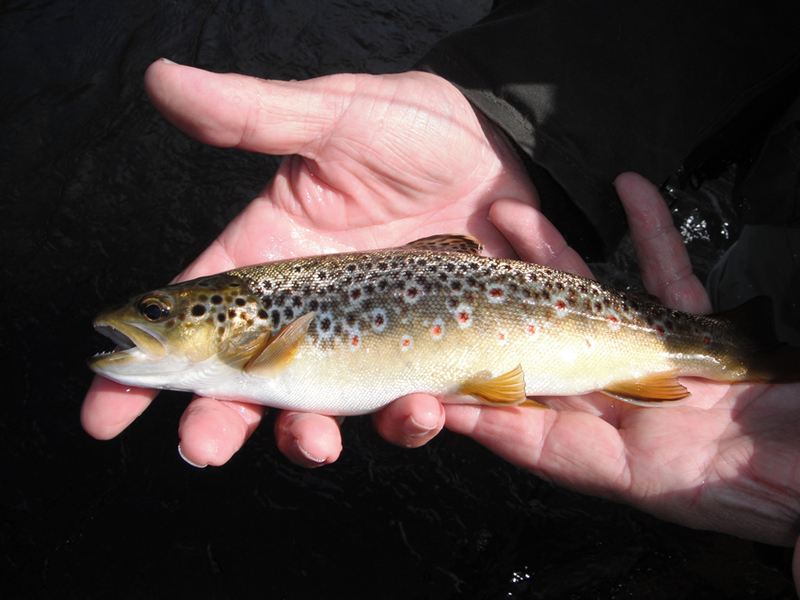 Approximately 240 dead brown trout were recorded over a 500m stretch of river channel upstream from Carrigrohane Bridge. A preliminary examination of the dead fish, the plentiful supply of oxygen in the water and lack of discolouration in downstream pools would suggest that a chemical pollutant was the likely cause of this fish kill. At the time of the investigation there was no discharge taking place but investigations are ongoing to pinpoint the source of the pollution. Inland Fisheries Ireland would like to thank those members of the public who contacted the Macroom office and those who used the 24 hour hotline for their vigilance. Anyone who sees pollution or poaching is encouraged to report it to our lo-call number - 1890 34 74 24. Yesterday we fished the Bandon River with the intention of catching some salmon. After two hours of hard fishing and no sign of our friend Salmo Salar we decided to switch to fishing for brown trout. 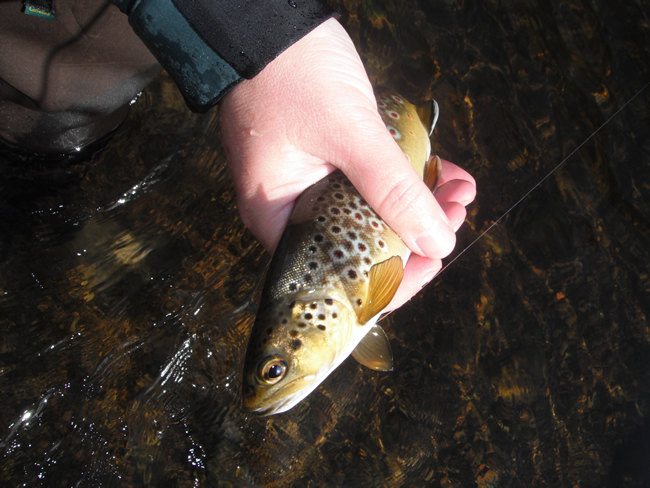 No sooner had we cast the fly's into the water we were surprised to be hooking into lively brownies that took with aggressision and snatched the fly's like handbag robbers! On almost every cast you would feel a bite, nip, grab or tug... It was great.. The weather patterns we experianced on the day were most strange with bright sunshine, heavy showers, wind, cold and warm, all mixed into different intervals of the day. At lunch time we stopped at the new chipper between Bandon and Innishannon called "Happy Chappy's", they served a delicious feed of burgers, chips and coke (not the healthiest but what the heck!). 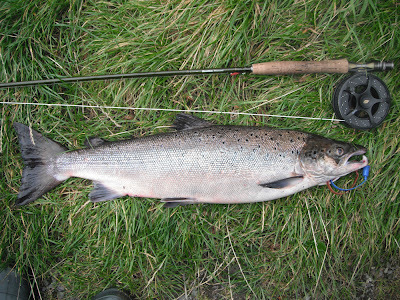 After lunch we decided to try again for salmon on a different beat. I changed the fly to an Irish shrimp pattern on my second cast a fish turned on the fly. Great their showing some interest... A few more casts in the same spot and a fish came straight up to the surface and boiled at the fly. I tried some more but the fish were'nt showing anymore interest. 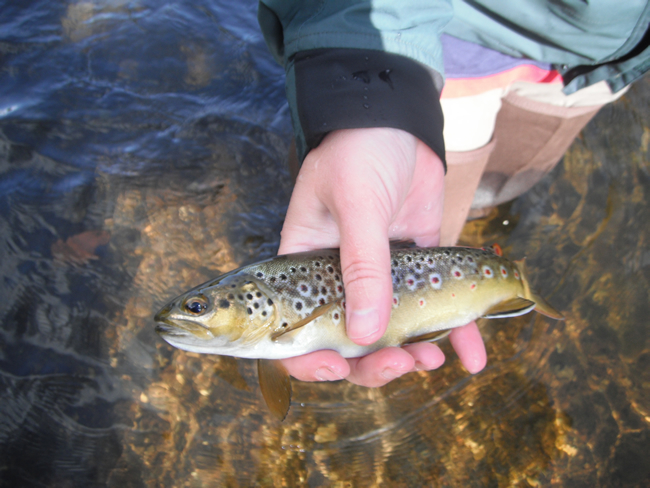 We decided to move beat again and this time fished up river to a location that's great for the brown trout. The trout were actively taking fly's. We had some rain fall 2 days ago and the Bandon River started to rise rapidly yesterday afternoon. It rose a foot and half in an hour. This was enough to encourage the fish to run and while fly fishing at the time of water rising I caught a 5 pound and 7.5 pound salmon. Lots of fish jumping the weir in Bandon all today, many of them coloured. With only 26 days left of the season, many anglers are eager to try their luck and catch a salmon before season closes!